Love is in the air! And if you were in our classroom, you could feel it! My students made the Remixed Hearts from my Bushel and a Peck Craftivity, singing the song the whole time. Seriously, they were the cutest things- they loved the remix concept. "I love you an iPad and an iPod, a table and a tomato" were just two of the renditions I heard this week. We're not done with all of our hearts, but I wanted to show you what our work in progress looks like. I made a community-building activity inspired by this activity from my friend Halle Across the Hall in 2nd Grade. She has the cutest ideas and her products are always amazing, not to mention I am constantly in awe of her classroom management. My students had asked me to write special Valentines, so I thought a Secret Valentine swap would be a great way to do it. 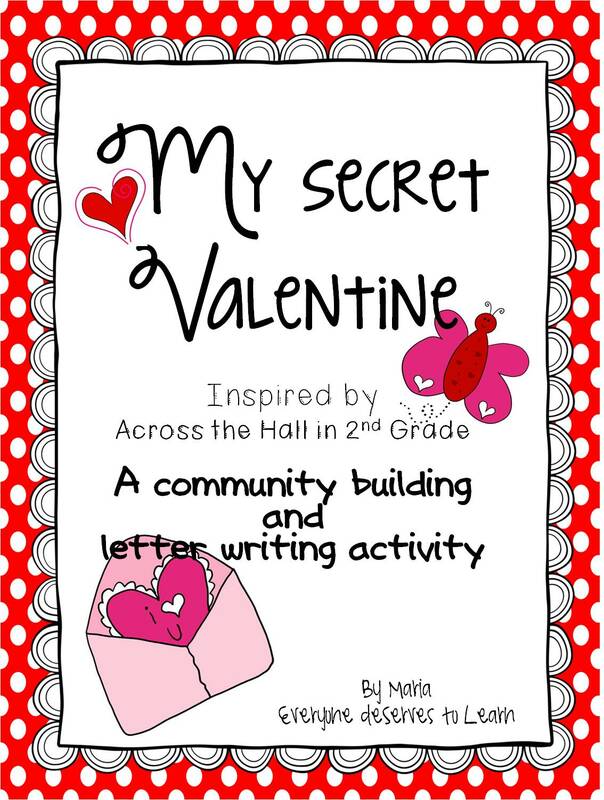 I created My Secret Valentine, which you can pick up at my TPT store. Here's a look at what's included. 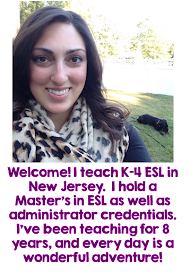 I'm really excited to teach my students about addressing and mailing a letter. Some of them don't know their addresses and I'm almost certain that NONE of them have received a letter in the mail before, so we are going to do it right! We'll send the letters from school to school, so hopefully they come back within one day. I think that's it for today! Happy Valentine's Day! I vote for a shrimp tasting lunch sometime very soon! The ginger ones look amazing! That shrimp looks delicious. I am going to guess the ginger shrimp? Mainly because it looks fantastic. 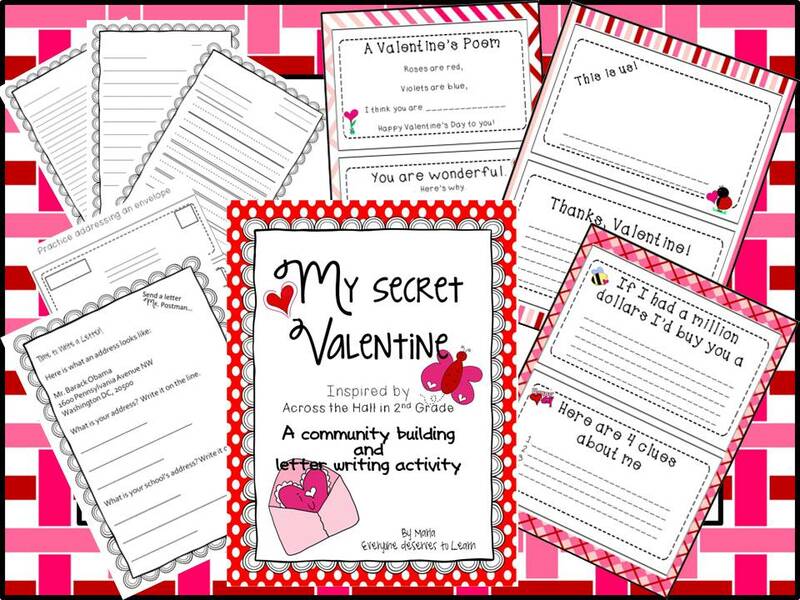 That Valentine's letter activity looks like a lot of fun! You were right! Check your email!